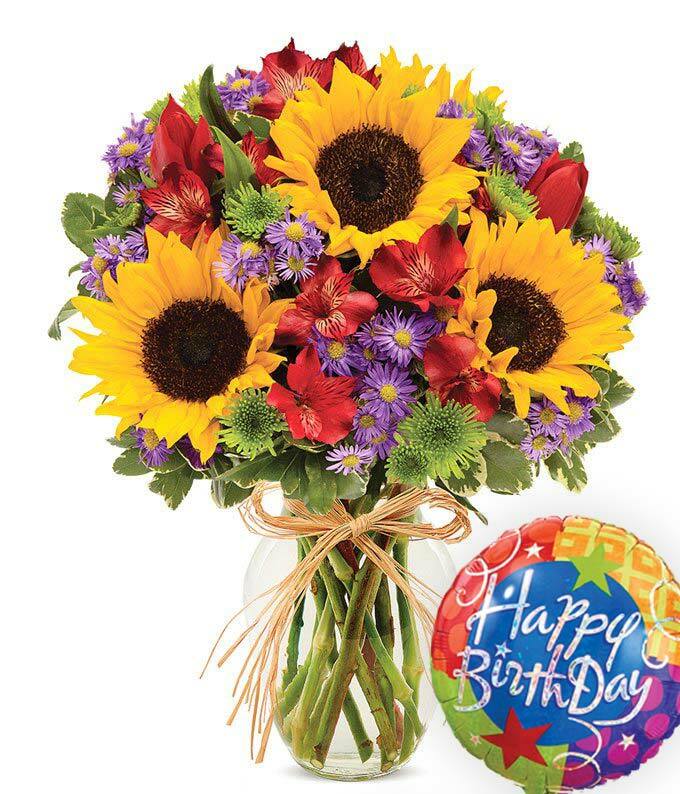 Celebrate a birthday with a flower bouquet inspired by the essence of Europe, paired with a Happy Birthday balloon. The European Garden Bouquet is arranged by a local florist with alstroemeria, button poms, monte casino, sunflowers and tulips in an elegant clear glass vase. Measures 12"H by 10"L.